Vast campsite (6 Ha), on the Yon Valley, you can enjoy nature in the quiet, with hikes of your location. 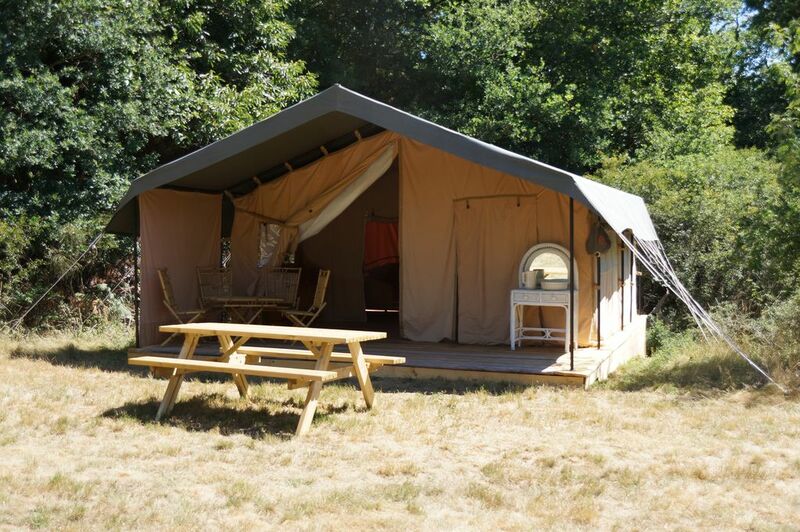 The tent SAFARI, offers 2 bedrooms (one with a double bed, a second with 2 single beds) and in the vast lounge 2lits. Small kitchen area, dry toilet and solar shower are at your disposal, but you also have in common kitchen and showers comfort. The tent is on a vast site (5 000m2) without opposite, with a small room of water.